Since 1978, 5 Brothers has been many locals’ favorite spot for both Cuban coffee and its famous Cuban sandwich. Some even go as far to claim that it’s the best Cuban sandwich they’ve ever had. If you arrive in the morning, don’t be surprised to see a line wrapping around the building. That’s for the coffee. If you’re going for a sandwich, you can waltz right through the door and order directly at the cash register. Located in Old Town and fashioned out of an old house, El Siboney is another Conch establishment known for their Cuban sandwich. With its authentic, family-style atmosphere, El Siboney has long been a Key West staple, and not just for its Cuban mix, but also for it’s other homemade Cuban cuisine. If you can part with the sandwich for a day, try some of El Siboney’s other specialties, like their roast pork or their skirt steak. This quaint little storefront might be known for its Cuban burgers, but that doesn’t mean its Cuban sandwiches aren’t up to snuff. With its fusion of Cuban and American cuisine, Frita’s walks a delicious line between the two cultures. To top it off there’s also a good selection of other Latin American and Caribbean food at this cute spot off the beaten path. Try the tacos. 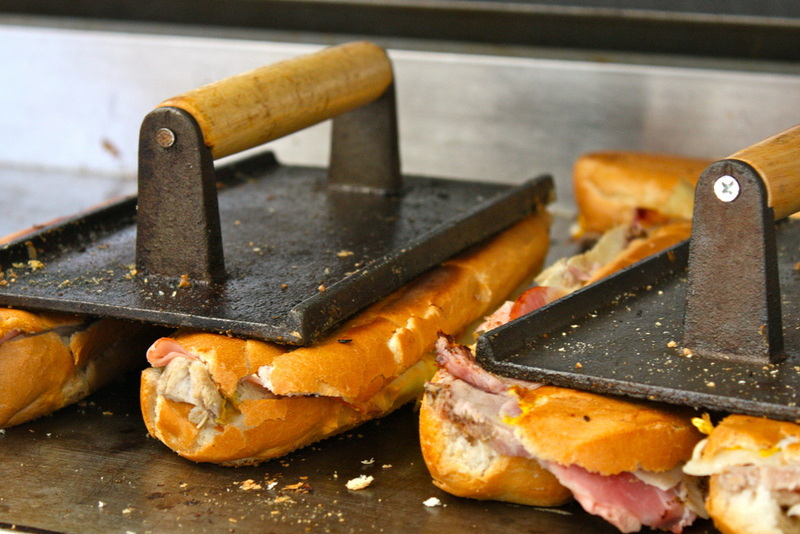 By now it’s no secret how addicted we are to the sandwiches from Cuban Coffee Queen. They’re hot, fresh – and filling. And while we may not like to share our Cuban sandwich, at Cuban Coffee Queen we usually have to. It’s a good problem to have. Lucky for us, the original Cuban Coffee Queen is close to the 24 North shuttle.